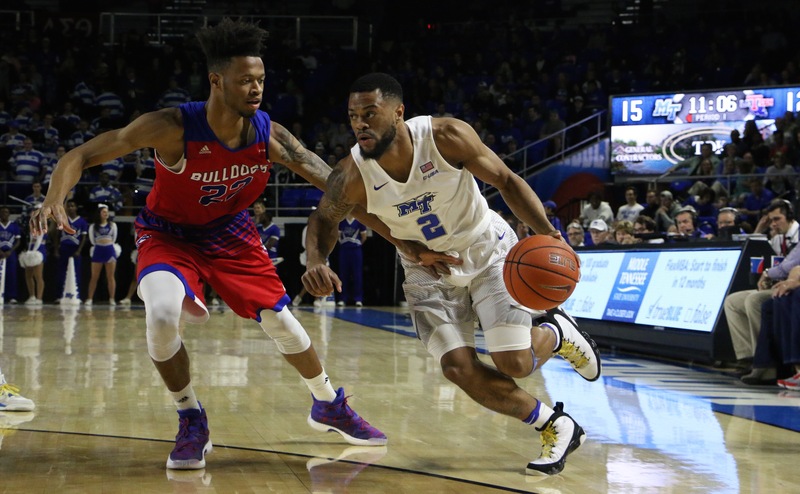 The Middle Tennessee Blue Raiders (19-3, 9-0) sit atop the Conference USA standings after their latest victory, a 71-61 decision over the Louisiana Tech Bulldogs. They now have a two-game lead over second-place UAB and three games separate them from the Bulldogs in third. To get to this point, however, Middle Tennessee had to fight and claw back into a game that La Tech had control of for most of the first half. Starters Tyrik Dixon and JaCorey Williams struggled with foul difficulties in the opening frame, while Reggie Upshaw and Giddy Potts were hit with quick fouls in the second half. Down by eleven, head coach Kermit Davis turned to his bench, specifically guard Antwain Johnson and forward Brandon Walters. The pairing did not disappoint, as they each scored six points and provided the Blue Raiders with hustle and energy that they were in need of. MTSU closed the deficit to 32-28 at halftime and took the lead early in the second half on a step-back jumper from Johnson. Both teams fought back and forth for the remainder of the game before MTSU finally pulled away with a 14-4 run in the final 3:43 of the game. While it wasn’t pretty, Davis was very satisfied with the way his team answered the call when La Tech built their early lead. Walters stepped up his play when conference the conference schedule began and while his numbers aren’t gaudy, he’s been one of the more efficient players on the team. When the Blue Raiders played against North Texas, Walters’ size was key, as he scored eight points and grabbed five rebounds in only nine minutes of game time. In the team’s next outing against Marshall, he posted 11 points and six rebounds in just 13 minutes. For the 6-foot-10 junior, it’s always been about confidence and opportunity. Davis said that Johnson adds a little more backcourt scoring off the bench, as evident by his 17-point performance against Milligan in the season opener. Johnson knows how crucial he, Walters and the rest of the bench will be going forward. With big games coming up against UTSA and UTEP, Davis knows that he will need all hands on deck if they are to continue their current winning streak. 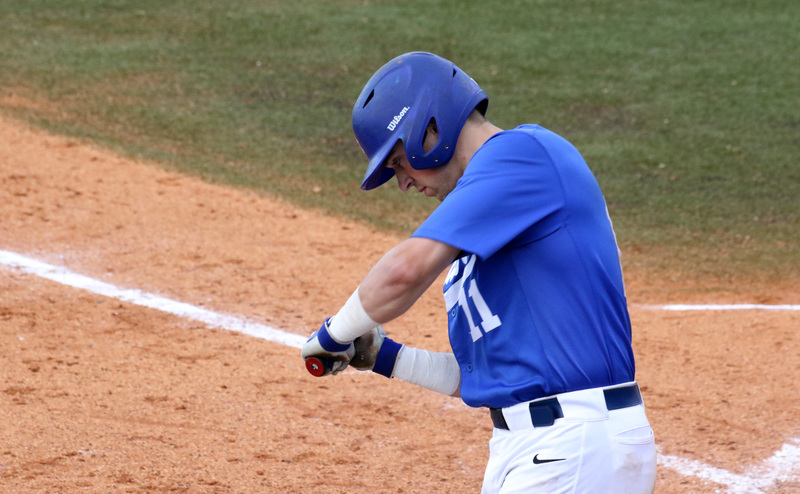 The Blue Raiders will head to Texas on Wednesday and are slated to take on the UTSA Roadrunners at 7 p.m. on Thursday.